FABULOUS LAKEFRONT HOME!NEW CARPET/FLOORING ON LOWER LEVEL! 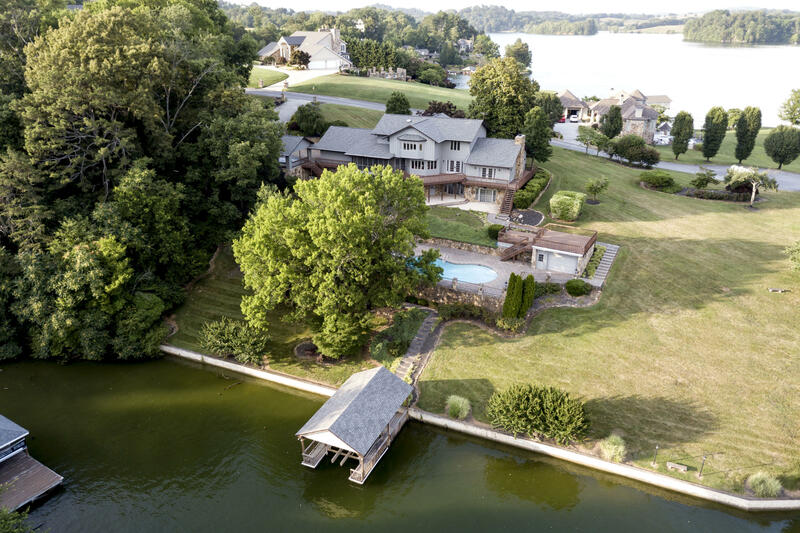 Enjoy panoramic year round Lake Views from most windows in this 3 Bedroom, 4 Full, & 1 Half Bath 2-Story Basement home on .94 Acre Lot with 151+ Feet of Lake Frontage, Screened-in Porch, Extensive Decking, Patios, Covered Boat Dock, Concrete Sea-Wall, In-Ground Swimming Pool, & Bath House with Wet Bar. Custom Vintage touches throughout, Updated Wood-Mode Kitchen with SubZero Refrigerator, Spacious Rec Room, Family Room and Bar Area on Lower Level, perfect for Entertaining! Convenient to the heart of Concord, Turkey Creek shopping, schools, and McGee Tyson Airport. Lot 9 & 10 (MLS# 1046609) also available.